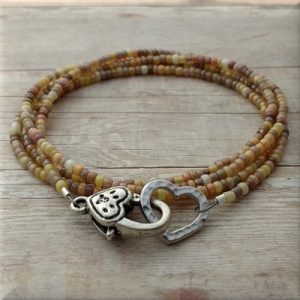 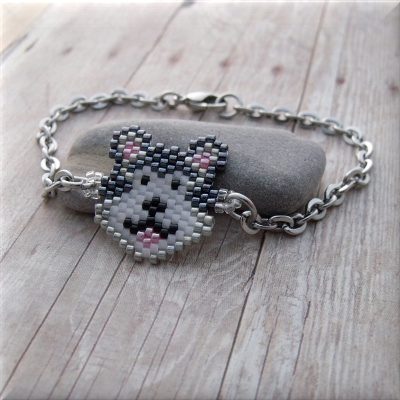 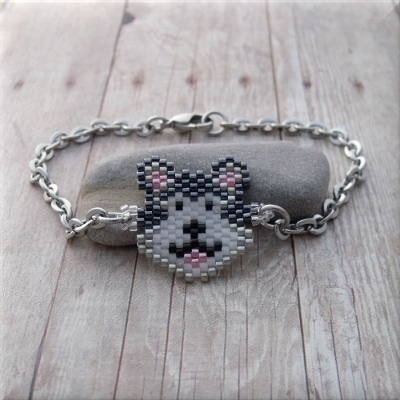 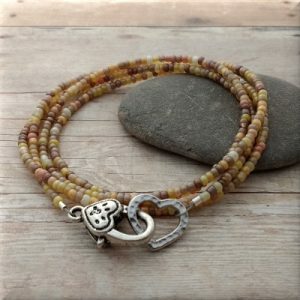 Carefully beaded by me, this Alaskan Malamute / Husky dog beaded focal is connected to stainless steel chain, creating a unique and one-of-a-kind handmade bracelet for dog lovers. 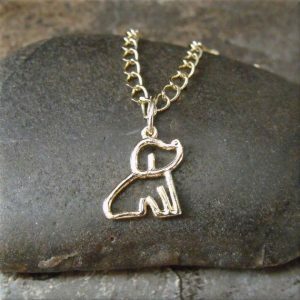 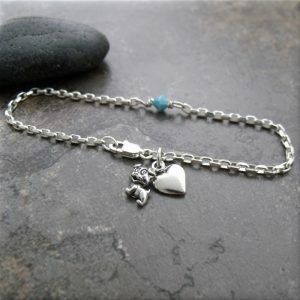 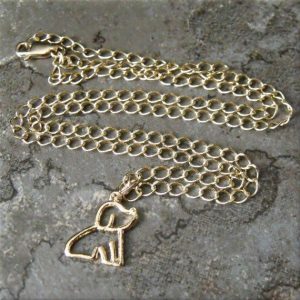 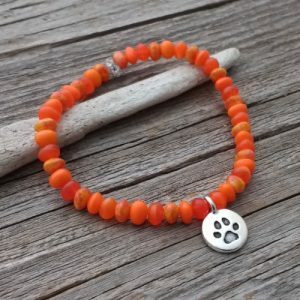 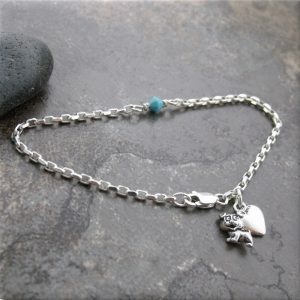 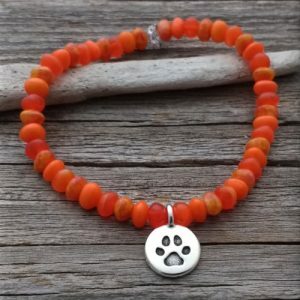 Wear this adorable bracelet all day and be reminded of your fur baby love. 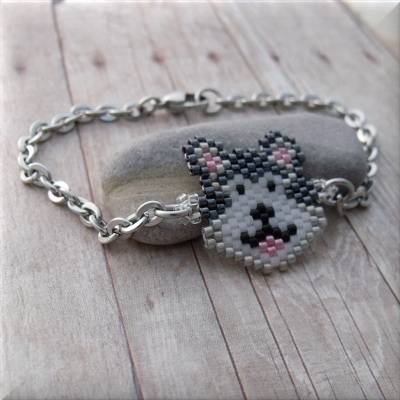 Wear this adorable bracelet all day and be reminded of your fur baby love.